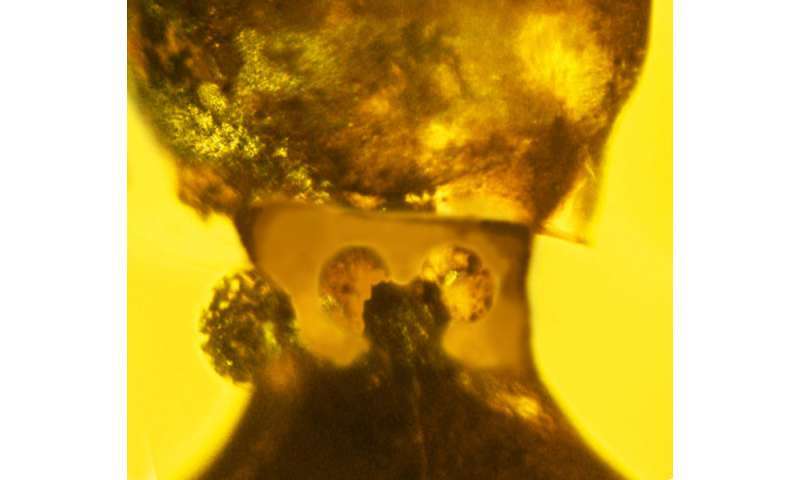 "This insect has a number of features that just don't match those of any other insect species that I know," said George Poinar, Jr., an emeritus professor of entomology in the OSU College of Science and one of the world's leading experts on plant and animal life forms found preserved in the semi-precious stone amber. "I had never really seen anything like it. It appears to be unique in the insect world, and after considerable discussion we decided it had to take its place in a new order." 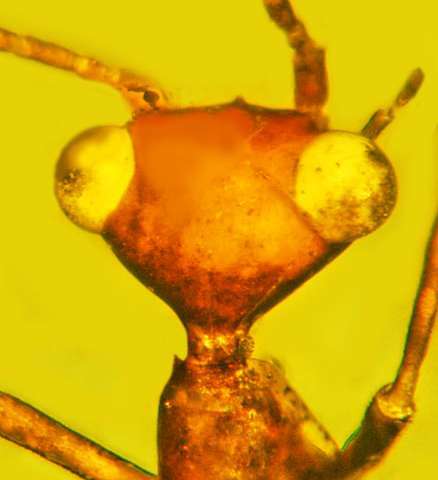 The insect has been assigned to the newly created order Aethiocarenodea, and the species has been named Aethiocarenus burmanicus, in reference to the Hukawng Valley mines of Myanmar - previously known as Burma - where it was found. 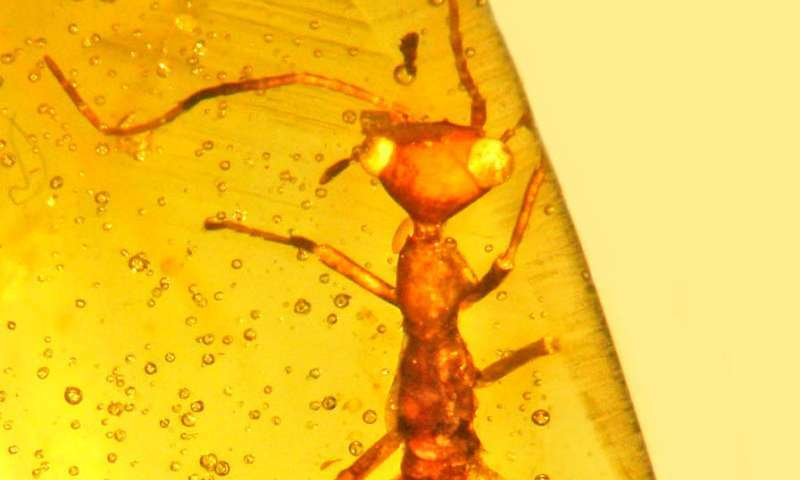 Only one other specimen of this insect has been located, also preserved in Burmese amber, Poinar said. Looks a bit like an early preying mantis. Reminds me of "Quatermass and the Pit"
It looks like a Praying Mantis, Earwig and an Ant wrapped into one.